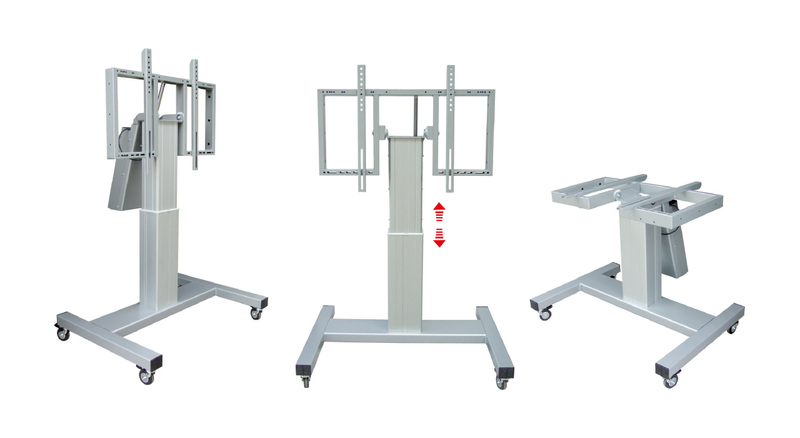 Tilt Stand is the electric cart for interactive monitors adjustable in two positions: vertical for presentation and horizontal for use as interactive table. The cart supports monitors up to 90''. The electric movement has a stroke of 50 cm till reaching a maximum height from center of the screen of 129 cm equipped with swivel castors with brake, mounted on a large base anti-tipping device (dim. 110 x 71 cm). The system is equipped with a security system whose ascent movement stops when it meets an obstacle, returning to the initial position.